This corner of the website is dedicated to preschool crafts for younger children. We have kept in mind the health and safety of your little ones as different rules govern what remains safe for them to do. You will want to avoid projects involving small parts that can choke depending on the age of the child. Children of 3 years and under tend to explore with their mouths, this is why some of these crafts are edible or use larger pieces with safe ingredients and materials. Teach a child to lace and tie their shoes or other objects at an early age. I bought a pair of lovely boots for my grandson but he refused to wear them when the wet and snowy weather came in. His excuse was that if he wore them to school they would get all scuffed up and he wanted to keep them new. It turned out that he really was afraid of laces. He didn`t know how to tie them. Everything is Velcro these days which I do admit has its uses, but laces never snag up your best clothes now do they? More importantly, lacing and tying is a skill that is necessary in every day life. That`s why our preschool crafts include making and using lacing cards. 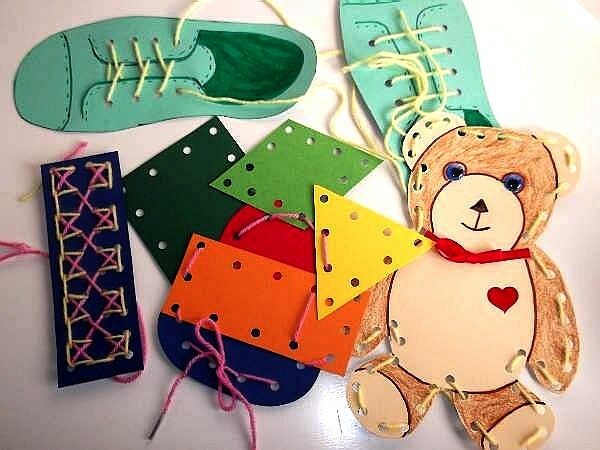 They are easy to make and young children love the whole process involving tracing them out, coloring, and lacing them up. See how to make the shoe and the other simple lacing cards. 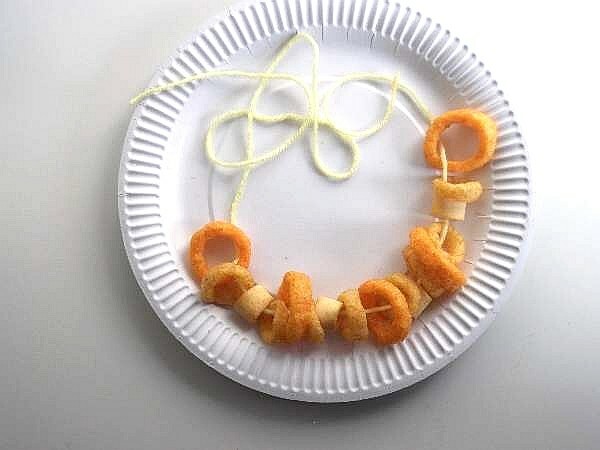 Threading food to make edible jewelry is always a fun way of introducing creativity to your infants in a "tasteful" way. Mini doughnuts come to mind, but smaller foods like breakfast cereal rings can also be used. See how to make crafts fit to eat. Once these food items are threaded onto a length of elastic to make a necklace or bracelet, a child has to bite them to get them off, making them smaller and more unlikely to cause choking. Try our KKC edible preschool crafts for kids. 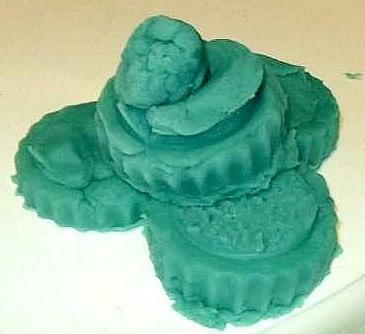 Salt dough is a safe alternative to play dough. The salt stops mold and germs spreading and also will cause a child to vomit any ingested dough. It will last a long time when refrigerated. Here is a salt dough recipe of how to make it and how to safely involve infants in the project. 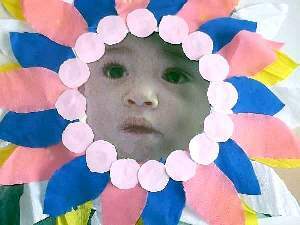 Other preschool crafts that are great for the coming spring are paper plate flower masks that don`t cover the child`s face and a delightful spring flower wall mural. Trees that have tissue paper blossoms, and rows of tissue paper spring flowers are also doable for small children. Keep posted for these fun activities coming soon! Parents and schools recommend getting a head start in preparing your child for primary education. Worksheets in the form of an e-book provides the tools you need to make it a success.